In under a week, I snuck in one final quick finish for the year. Unfortunately, I need to keep this project secret until its big reveal in April. I am not a very good secret keeper, so this is going to be really hard for me! I am really excited about this quilt and can’t wait to share all the details with you, but for now I am going to leave you with a few rather poor iPad / Instagram photos for proof of my final finish of 2014. Linking up to TGIFF hosted this week by Sew Fresh Quilts. I can’t wait to see what we create in 2015! Congratulations on your big finish- I’ll look forward to seeing it when you can make the big reveal! Oh, I know just how you feel. Keeping secrets is so hard! Love the matchstick quilting. Looking forward to seeing more of this in April! Of course my tablet would not let me post a comment. 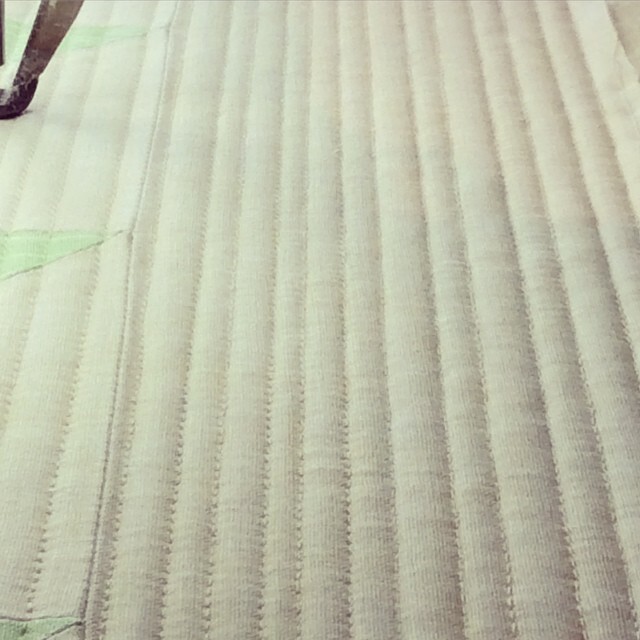 I can’t wait to see the finished product with that matchstick quilting. AND hear about how you did it on the longarm. 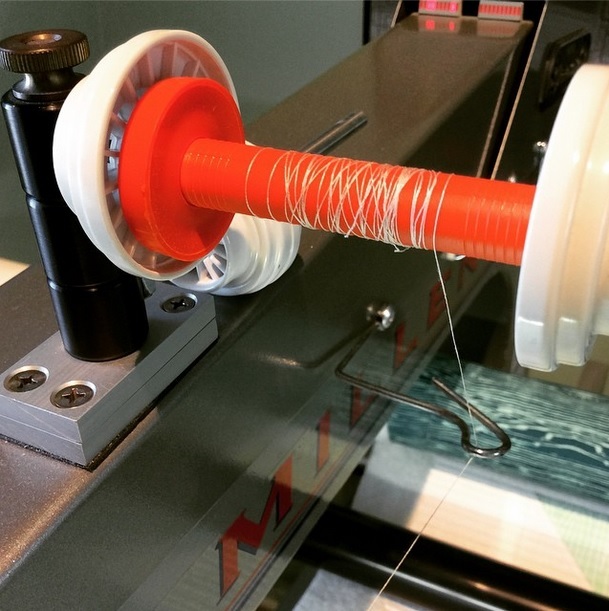 You are using aurifil in the bobbin? Yvonne, you are a quilt tease! 🙂 look forward to seeing it…SOMEDAY! Oh, such suspense! We’ll have to wait all the way ’til April to see your secret sewing. Can’t wait! I am with you – it is SO hard to not share!! But you can do it!! Okay now, it’s just mean to keep us in suspense until APRIL!!! 😉 Congrats on squeezing in one more finish. I can’t wait to see what you’ve been up to! Congrats on the finish. I am hoping for one more finish–it just needs binding. Tease!!! But really can’t wait to see this! Can’t wait to see it, looks great! Secret quilts are exciting! I’m looking forward to the reveal as well! 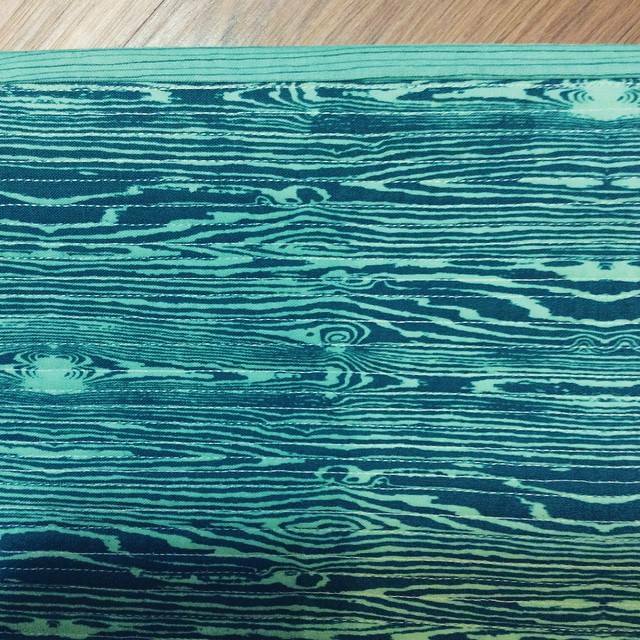 Also, love the teal faux bois print you’ve got. It’s one of my favorites. Leaving us hanging like this for months? Goodness I don’t know if we can take it! From the subtle hints it looks super neat!! Till April??? That is really not fair!